Editor’s Note: The following story is one woman’s personal view and account of visiting an advertised spiritual retreat in Australia. The events described have been reported to the authorities for investigation. Reader’s discretion is advised. Earlier this year I was working as an au pair in Brisbane, Australia. Things were going well until I found myself in a wild relationship filled with alcohol, drugs, and hotel rooms. As our relationship continued, I noticed my mental health deteriorating. I needed to get away, be somewhere pure, and come back to myself. 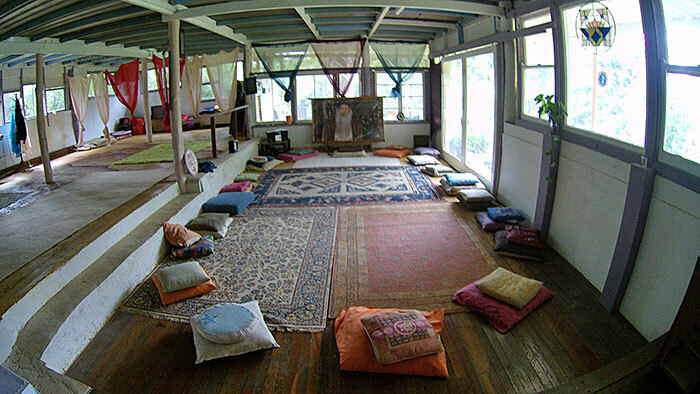 So, I decided to go to the Samaya Ashram, in the Byron Bay Hinterland of Australia. 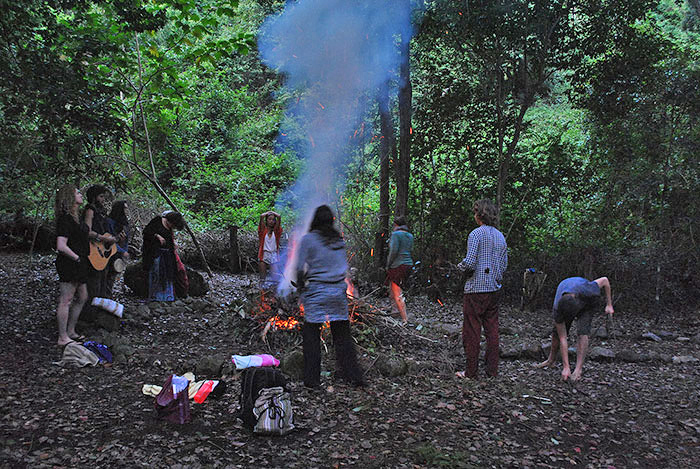 This self-sustainable, spiritual community had a tight schedule. We rose at 5.30am before sunrise, had a jam-packed day of meditations, yoga, “meditation in action” (work), and vegan meals. In the evenings, we had a sangha. The essence of a sangha is awareness, understanding, acceptance, harmony, and love. By 7 pm, the moon-illuminated forest led us to bed. Samaya, the 80-year-old Italian guru, and owner of the ashram was wise, charismatic, and intelligent. Through listening to him, I realized how one could so easily become a slave to society. He made us feel like we had escaped all that pain and suffering, and the ashram would set us free. Over the first few days, the intensity of the Osho meditations shocked me. We practiced the ‘Mystic Rose’, which was talking ‘gibberish’ for 10 minutes, crying for 10, and then laughing for 10 minutes. After a few days, we did ‘Dynamic’ mediation which required rapidly breathing through your nostrils, followed by expressing rage, sadness, and any other deep, dark emotions you could find, and then let it all explode! Some people were screaming “F*ck You”, people were punching pillows, rocking on the floor crying, and some were letting their body have fits of pure rage. ‘Dynamic’ meditation not only scared me, but after a few attempts, it forced me to visit uncomfortable levels of sadness, terror, and anger. Being in a room with everyone shouting and screaming was terrifying. Everyone cried their souls out, even when we weren’t meditating. The ashram provided no real aftercare for participants. After a week, I realized I was living with some mentally unwell people and I was clearly one of them. My mask was soon ripped off when I had my first mental breakdown. Afterwards, I was congratulated with, “I knew you could do it, Charmaine”. I was in a terrifying place of feeling suicidal, being poked and prodded, and pushed to my mental limits, and I was being congratulated. No one asked if I was OK. No one asked if anyone was OK. We were all mentally vulnerable, fragile people, and we had to wear our insanity on our sleeves, or we weren’t doing it right. After one week, I decided to devote myself to the ashram, and I canceled my future plans. My soul sister at the ashram was Madita. We craved a trip to the outside world, to sit in a cafe, drink coffee, talk, and eat chocolate. With the newfound knowledge of not being allowed to leave, I started feeling like I was suffocating. I tried to talk to people about how things felt ‘odd’. However, the only person that listened and was receptive was Madita. We started asking too many questions. Samaya said we were free, but we weren’t allowed to leave and we weren’t allowed to be alone. “Alone time is time to think”, he would say. Time alone was time to hear those inner voices, and mine started whispering “get out”. I later became incredibly sick and had a raging fever. I told them I desperately needed to go to the hospital, so they agreed to have someone drive me. I had Gastroenteritis after two weeks of poor sanitation and uncooked food. I was also pregnant. Samaya then requested to see me. He discussed me becoming sick, and made me agree that it wasn’t because of the ashram, and told me that I was sick before I arrived there. I asked Samaya if Madita could come with me to the hospital the next day for scans, but he said no. Madita insisted on going. We were then denied a ride to the hospital. Madita and I started our 5-hour walk to the hospital, hoping we could hitch a ride. While we were walking away, we heard the guru’s assistant shouting, “Samaya would like you to pack your bags and leave now, and as a courtesy, I will drive you to the hospital”. Like that, we were rejected from the ashram. I was pregnant, psychically and mentally unwell. Madita and I went against their demands and control and fought back against the manipulation and brainwashing. Even though we had no money and nowhere to go, we knew we were much safer and had each other. Spiritual places aren’t meant to expose or highlight your weaknesses, make you feel uncomfortable, make you sick and unwell, control, bully, or manipulate you. Spiritual places should make you feel as free as a bird, growing each day with strength, beauty, love, and radiance. You should feel happy, independent, inspired, and most of all encouraged. Read the gripping full-length version of this story in the upcoming NOMADS Magazine no.9.